I just can’t believe I haven’t shared this recipe with you before now. 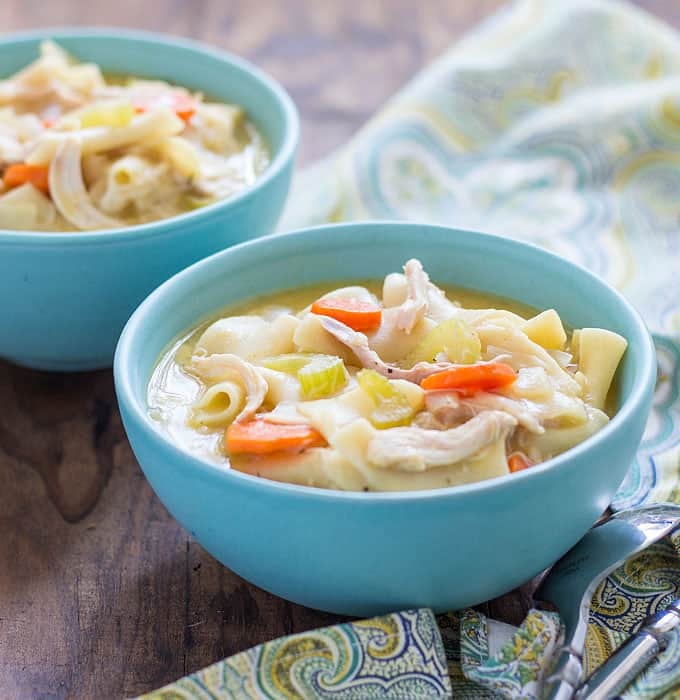 Today I’m bringing you another quick, easy and comforting recipe… this EASY Chicken Noodle Soup that comes together in less than 30 minutes! 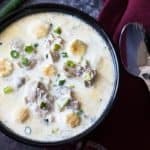 If you love a hearty soup as much as I do, you’re going to just adore this recipe. I always use a ready-made rotisserie chicken to speed up the process. 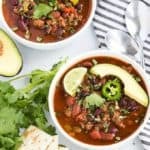 I’ve made this soup for years, but have always just thrown ingredients in the pot and never written down what I was doing until now. I prefer my soup on the heartier, thicker side so that’s how I make it. 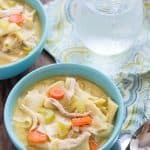 There’s nothing more comforting than a big bowl of this chicken noodle soup, especially on a cold day. 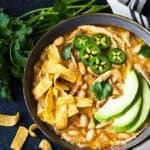 And I don’t know about you, but I crave comfort food when it’s cold outside (it makes the cold weather a little more tolerable!). 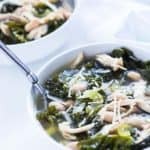 I know you have 30 minutes to spare to make this soup… you’ve gotta give it a try! 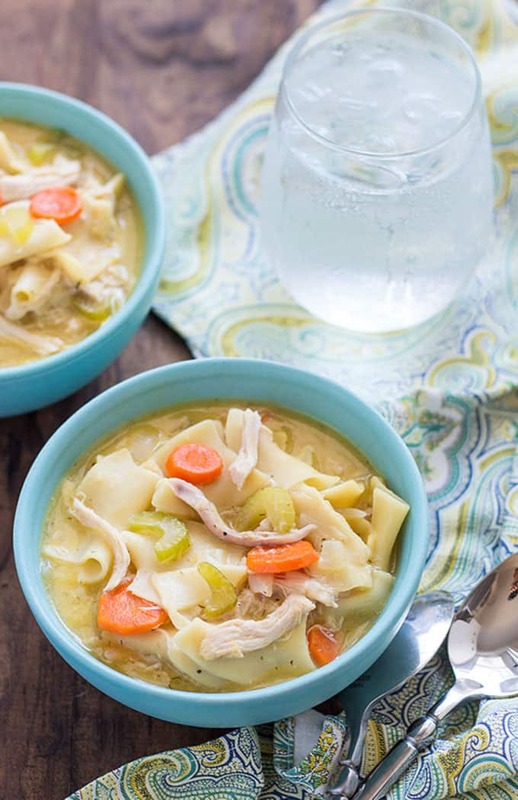 This EASY homemade Chicken Noodle Soup comes together in less than 30 minutes! Melt butter in a large pot over medium-high heat. Add carrots, onions and celery and saute for 3 minutes. Add chicken stock, cream of chicken soup, salt, pepper, dill weed and cooked chicken. Stir well to combine. Bring to a boil and add noodles. Boil gently for 10 minutes, or until egg noodles and vegetables are tender. 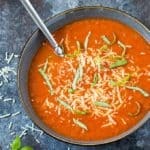 Love the touch of Dill which made it more than a semi-homemade soup. I will using this again and again!!! Again Thank you. Hey Donna, I’m so glad you enjoyed it! The way you made it sounds delicious… especially with the pretzel slider rolls!! !